For our final day on the summer countdown – don’t forget to check out the other 12 great giveaways, and activities that you could be taking part in on the blog…you’ll kick yourself as we have over £1,000 of prizes up for grabs across the 12 days, not to mention the wonderful activities that will keep your kids entertained for HOURS over the summer. 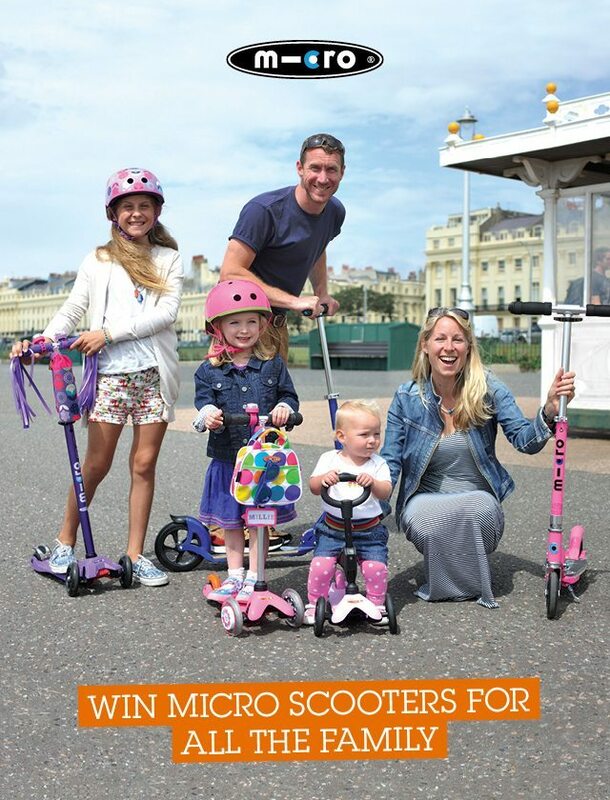 Today you can have the ultimate family scooting adventure this Summer with the iconic, multi award winning, Swiss designed and engineered scooters for all the family from Micro Scooters. The world renowned scooter company engineers superb scooters suitable for every member of the family. From the 3in1 Mini Micro for one year olds all the way up to the new Suspension scooter for adults the craftsmanship, durability, ease of use and buckets of fun that goes into every single Micro scooter is a must for every family. Just before you do enter – why not have a quick glance at the other giveaways in the countdown; might be worth entering a few of these as well? Some great options for the summer and beyond for everyone. Day 4: Loads of Kiddylicious snacks put inside a Trunki so you have all you need for your holidays! Day 2: Mini afternoon tea hamper from Co-operative Food, along side Foodies Festival tickets. Now time to enter this giveaway – then you can check out all the above too. Our usual T&Cs apply for this competition, with the final closing date of Thursday 13th August, 2015 at 11.59pm. Plenty of time for you to get in there, but don’t forget to enter, you’ll be a little cross if you miss out, as you have to be in it to win if after all. We also have a listing of lots of other great competitions on blogs throughout the web, so do check this out as well. Maybe it’ll be your lucky day. Don’t forget to check out the other posts today in our summer countdown; a lovely bottle cap sail boat craft, and a round-up of the colouring pages from the beach and summer for the last few days. Good luck everyone, and hope to see you all back on the blog soon. My daughter Irina – she had one for ages but the wheel has come loose and we cant seem to mend it so she is currently without one and used to use it every day, to and from school, so misses it terribly. I would love a scooter so that I could ride it with my daughter (who is quite good at riding one). This looks like it would be great fun and something we could all do together! Both of the boys equally. they would love to race. My son would love it the most as their is a skate/scooter park near us which he would love to try out. Me! The kids already love theirs and I struggle to keep up! Me – I’d love a scooter, they weren’t around when I was little. Definitely me. My 3 year old is almost ready to ditch the pushchair so the whole family will be able to scoot everywhere! My daughter because she is always on the move. My nephew who is 6. He loves everything that brings him a sense of adventure, and these scooters would definitely do that!! Me, because i would love to be able to keep up with my boys. Me! Any excuse to act like a child again! my youngest turns 6 on the 20th and he’s just asked for a new scooter. I’ve told him he’s going to have to ask santa now! Or maybe kiddycharts!! Me. No point in lying. My daughter very rarely lets me have a go on her scooter. It’s Mummy’s turn now! My 5 year old daughter would love it most as hers is getting a bit small for her and shes already written a new scooter on her list to father christmas. plus she would love to be able to scoot with her 1 year old sister if she had one too. My daughter, because she doesn’t have one. My daughter as she has outgrown her present one. My granddaughter would because she has never had one and it would be such fun seeing her learning to ride it! My two boys would love a scooter they are always saying how much they want one! my three year old son. he would definitely be really excited about it! I should say my youngest daughter as she’s always trying to steal her brothers scooter but actually I think my husband would secretly love one. He’s always jumping on my son’s with him” just to make him laugh”! Me so I am not left out! I’m always having to jog to keep up! me probably! i used to love scooting around as a kid. I’d love one. I’d be able to keep up with the kids. My youngest daughter wants to copy her big sister! My partner, he has always been jealous of the children having scooters and I just know he would be on his all the time, big kid! Definitely me – I’d be the fastest gran on wheels, watch me go, we would have a great time. Me! Because I’m always pinching the kids scooters to keep up with them. I also borrowed one of theirs when on holiday because the site we were on was so far apart and I found the long walk between the buildings such a chore! Probably me – I haven’t had one for years! Me probably!! I never had one when i was young!! My son who is 13. Love to show off to his mates. My niece will love it the most because she’s just bubbly and fun. me and daddy, so we can scoot along with the kids! The family that scoots together stays together!! My husband – he’s a big kid! my grandaughter would love one! Whichever one is full of energy and driving me up the wall …a Scooter would make us both happy !! As the family’s main dog walker, I’d love one, since we adopted him and got him back to full health his walks have got longer and faster, I’m struggling to keep up! Me why not! Ive never had a new age scooter! My nephew. he’s 8 and he’s always borrowing the neighbors! it would be nice to have one of his own. Daddy – He would love to go scooting with our little girls. Me…! My daughter has a Micro Scooter already and my son has one ready for one he’s old enough waiting for him. I’d love to scoot to school with them. Fab exercise too! My little niece so that she can be like her big brothers. They have them – she doesn’t yet. I think secretly my other half would love one! my daughter would! she loves going fast! My grandson Elijah. My three granddaughters have scooters, but Elijah doesn’t have one yet. My daughter – so that she can get to her friends quicker! 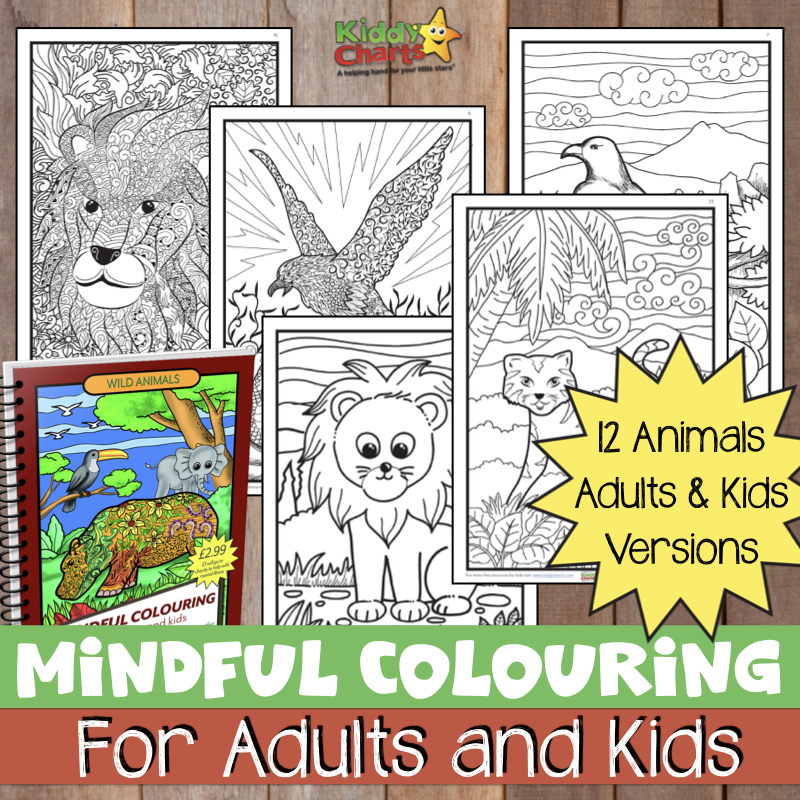 My daughter Chloe has just turned 4 and would love this most so she can keep up with her friends when we go to the park. Me! so I can keep up with the kids! My son, because he got one for Christmas and it was stolen. My brother because he’s still a kid at heart! i would love this for my family, that is what you call a fun day! My youngest son, because he always has so much energy to run (or scoot!) off! My son as he loves to play outdoors! My son would love a scooter most. But I secretly really want one, too. my little Grandson, would love to present him with his first ever scooter! Has to be me. It would be like having all the fun of childhood again! My Husband, definitely! He always pinches the kids scooters at any opportunity he can! Definitely my big brother as he’s a big kid at heart! My grandson because he has to borrow his friends. My daughter would love this as she always likes to be on the move. I think my husband would be secretly delighted! Me so I can keep up with the children. I’m fairly certain our daughter would be the most excited about this, but I’d give her a good run for her money too! I have to admit, that would be me! i would say my husband, he is dying to ride down the hills in our local park with our little moo. i so need to get new scooters for my girls and these ones just look great! My husband, he’s a big kid! my son – he loves being active and outside! ME!!!! I would absolutely love one of these, It would help me keep up with the grand kids but I would still have fun scooting without them…. I’d like a scooter to keep up! My son as he is outgrowing the little scooter he has now. I should say my son but it would probably be my husband! My son as he’s full of energy and his last scooter is sadly broken now. My son, Thomas. His current scooter keeps folding when he’s using it and he would absolutely love one of these. My granddaughter wants one as her brother has one. ME!!! I could scoot with the kids on the school run… we might actually be early for once!! My toddler – because he is ready to graduate from his first babyish one to a proper one. My daughter really wants a new scooter as one of the wheels fell off a few weeks ago on the way back from swimming and she has to wait for her Birthday to get a new one!!!! My daughter, she hasn’t got one and it’s the top of her birthday list this year. My grandchildren would love these and I would be popular too! My son as his is so old and rusty. Me – it would make me move faster as my kids complain I walk to slow!